Samsung has quietly listed the new Galaxy On5 smartphone on its India website. Additionally, the company has also listed details of the Galaxy On7. The South Korean company is touting its all-new Galaxy On5 smartphone to feature “sleek design” alongside a camera that can “click brighter, more detailed images, and superb selfies.” Unfortunately, there is no word on the pricing of the Samsung Galaxy On5 smartphone or details og when the handset will go on sale. We can expect the smartphone to go on sale soon. For specifications, the Samsung Galaxy On5 features a 5-inch HD (720×1280 pixels) TFT display. It is powered by a 1.3GHz quad-core processor coupled with 1.5GB of RAM. The handset packs 8GB of inbuilt storage and can be expanded up to 128GB via microSD card. The company listing does not mention the exact Android version of the Galaxy On5. The dual-SIM based Galaxy On5 supports two Micro-SIM cards and 4G LTE bands in India. 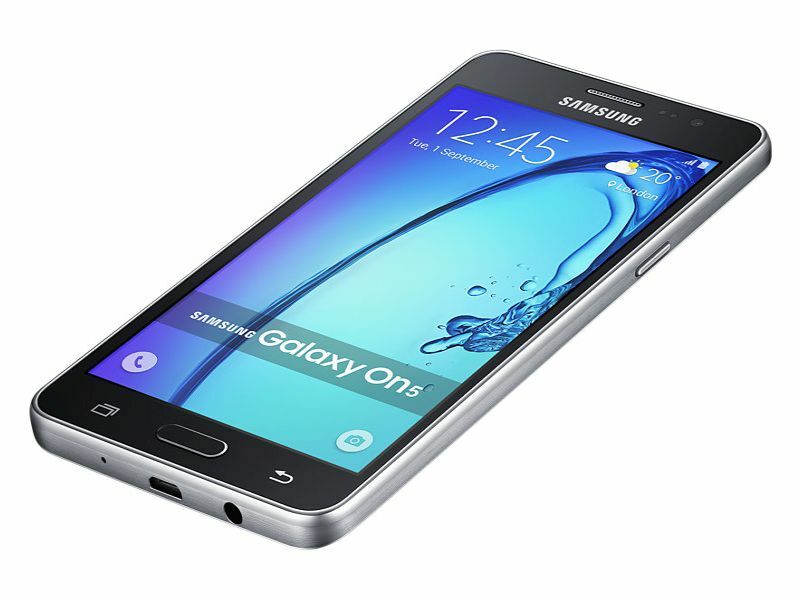 The Galaxy On5 sports an 8-megapixel rear autofocus camera and a 5-megapixel front camera. The rear camera is accompanied by an LED flash and supports full-HD (1080p) video recording. Connectivity options include Bluetooth, GPS, Glonass, Micro-USB, 3G, GPRS/ EDGE, and Wi-Fi 802.11 b/g/n. The handset is expected to go on sale in Black and Gold colours. It packs accelerometer and proximity sensor. The Galaxy On5 packs 2600mAh removable battery. The listing also confirms that the Galaxy On5 will be compatible with Gear Circle wearable. It measures 142.3×72.1×8.5mm and weighs 149 grams. The listing shows that the Galaxy On5 features a metal-styled side frame and sports a leather-feel rear cover. The Samsung Galaxy On7, on the other hand, is listed on the company’s support sites with no details about the innards. The handset is listed with model name SM-G600FY. Both the handsets were first reported by PhoneRadar and it claims that the Galaxy On7 packs a 5.5-inch screen with 720×1280 pixels. It adds that the handset sports a 13-megapixel rear camera and packs a 3000mAh battery.